Friday, June 9, will be a great sampling day at Fromagination…for meat lovers. 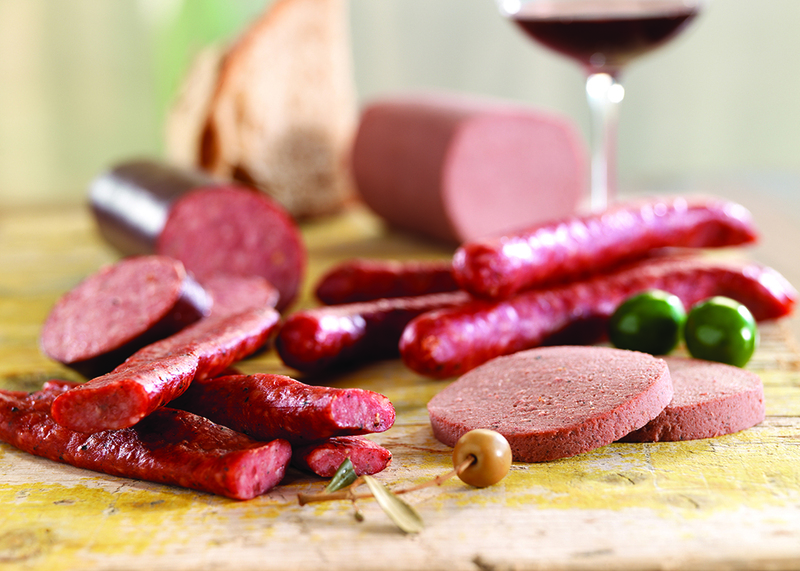 From 11:00 a.m. to 3:00 p.m., Nueske’s Meats will be offer samples of it Summer Sausage (made from beef and pork) and its Liver Pate. Nueske’s is another local food producer that Fromagination is proud to feature along with our many Wisconsin artisan cheese producers. Nueske’s has been based in Wittenberg, Wisconsin for more than 80 years. (Wittenberg is in Shawano County, and northwest of Green Bay, southeast of Wausau.) Wilhelm Nueske learned to smoke meat in Europe, and his family began to sell cured meats in northern Wisconsin in 1933. We use Nueske’s smoked turkey in our Signature Sandwich and Pasture Harvest sandwich, and its ham in our Munster Mash sandwich. Stop in Friday for lunch and meet Megan from Nueske’s…who can tell you all about Summer Sausage, and other tasty meats from up north. ← Peregrine Falcons and Cheese Heritage?